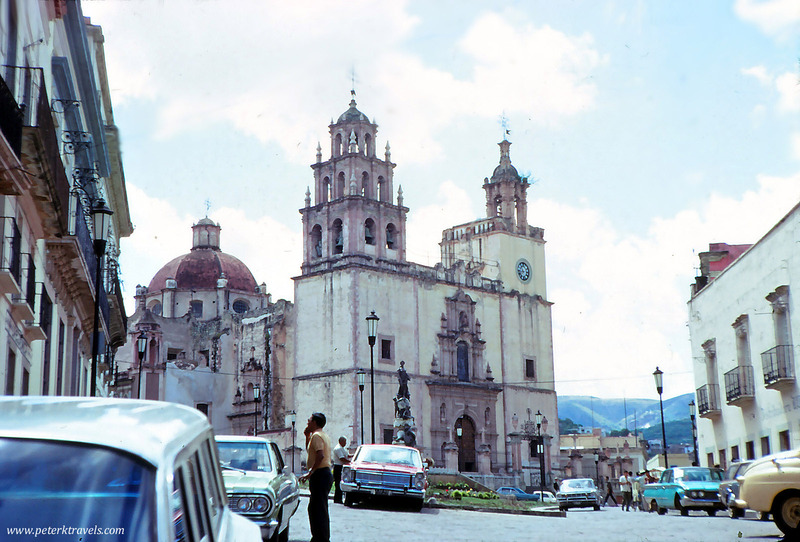 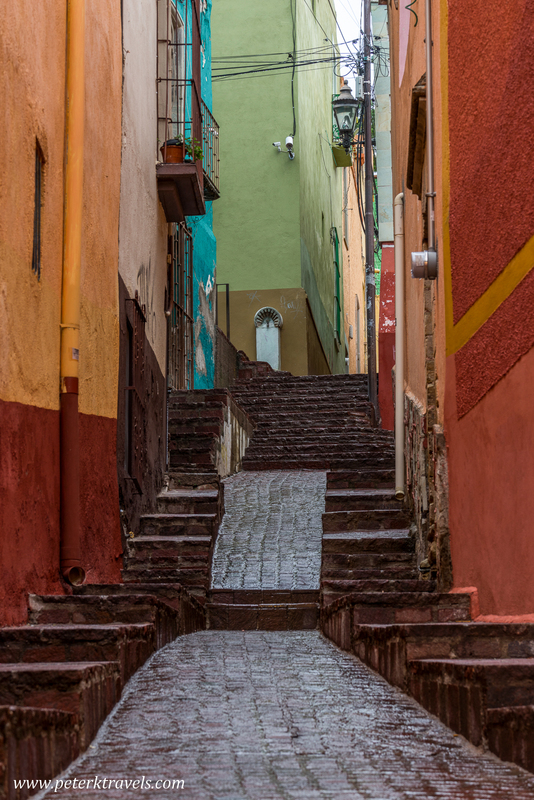 The center of the beautiful city of Guanajuato, Mexico sits in a valley, with many churches and beautiful plazas to explore. 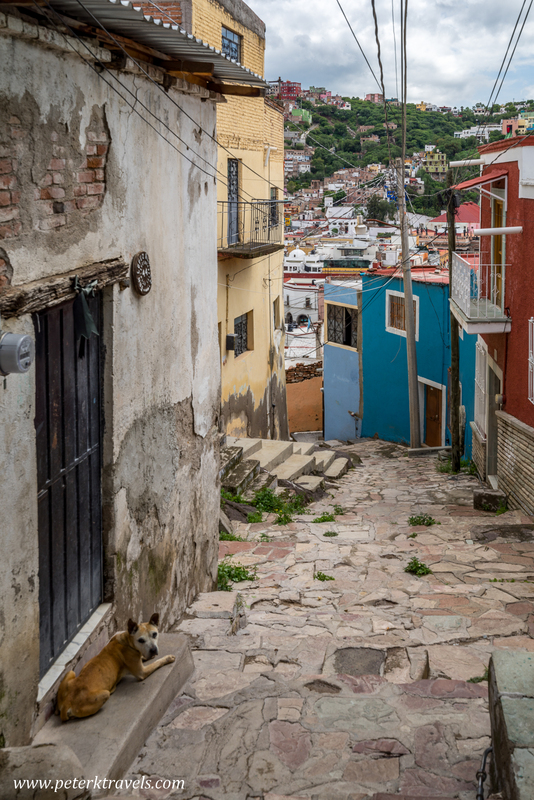 Homes climb the hills surrounding the center, accessed by narrow streets and alleys. 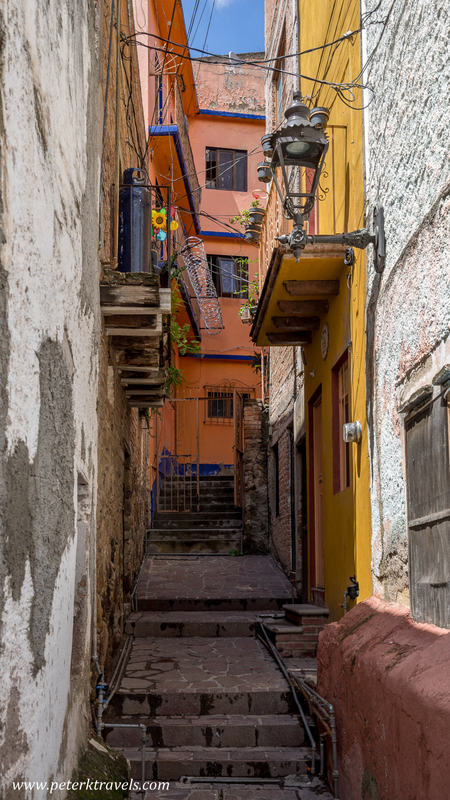 On my last visit, I spent an afternoon wandering through the alleys following them wherever they took me. 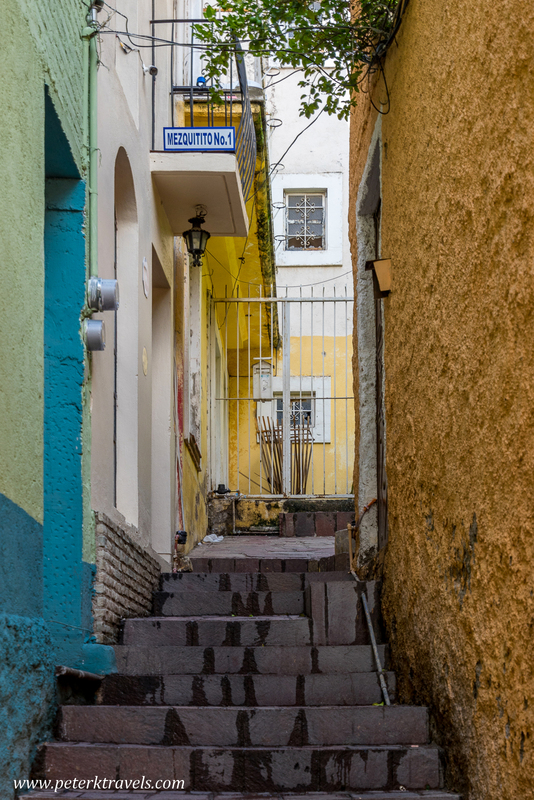 As you walk into residential areas, street signs can be rare and narrow alleys aren’t even marked. 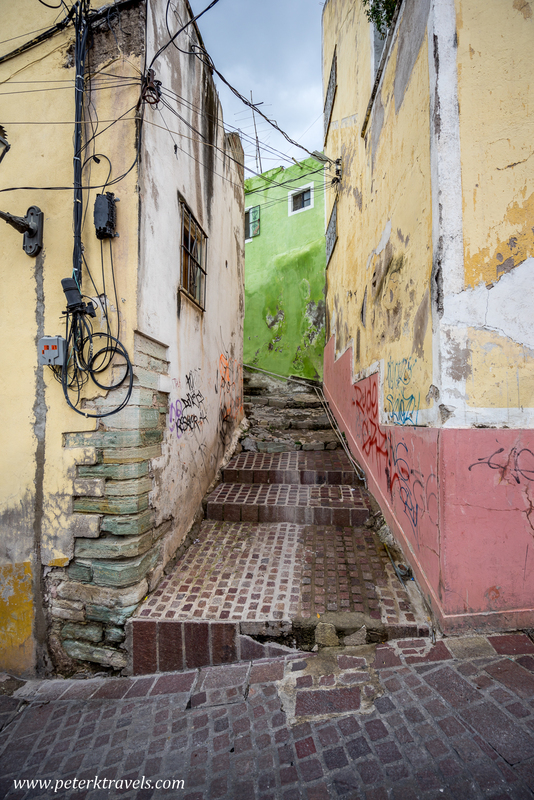 However, it is hard to get completely lost — if at any time you want to find your way back, simply head downhill. 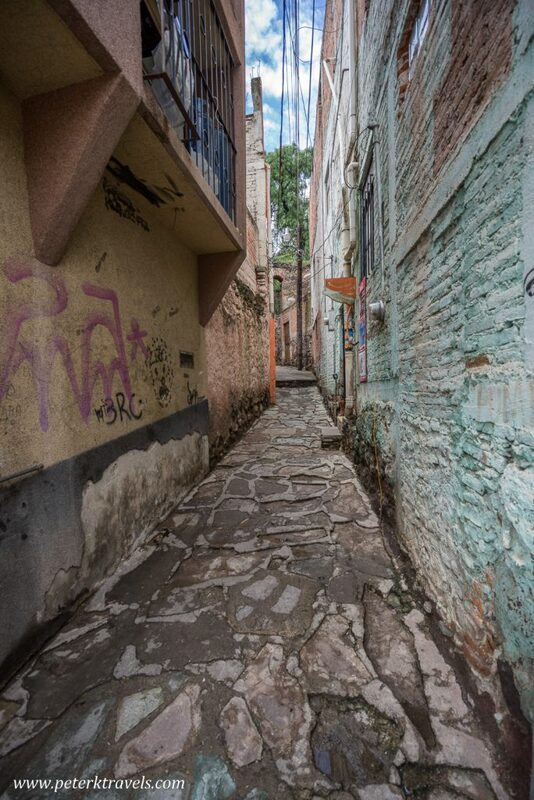 Eventually, you’ll reach a main street. 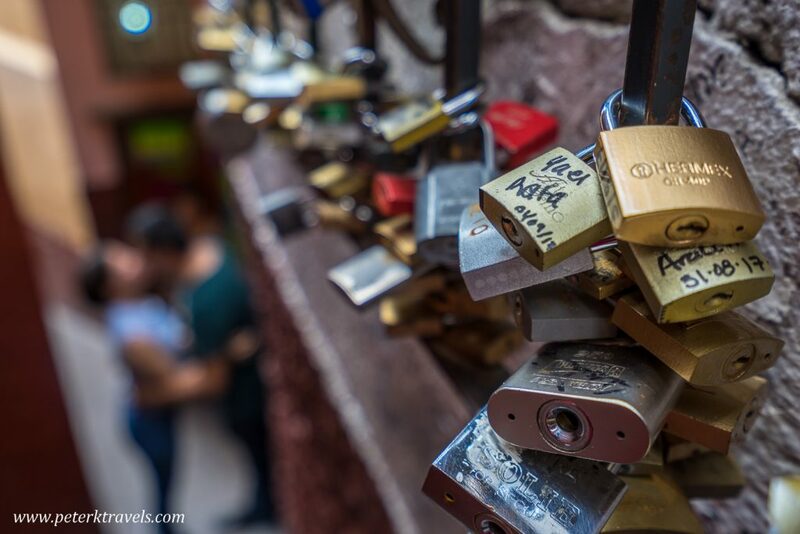 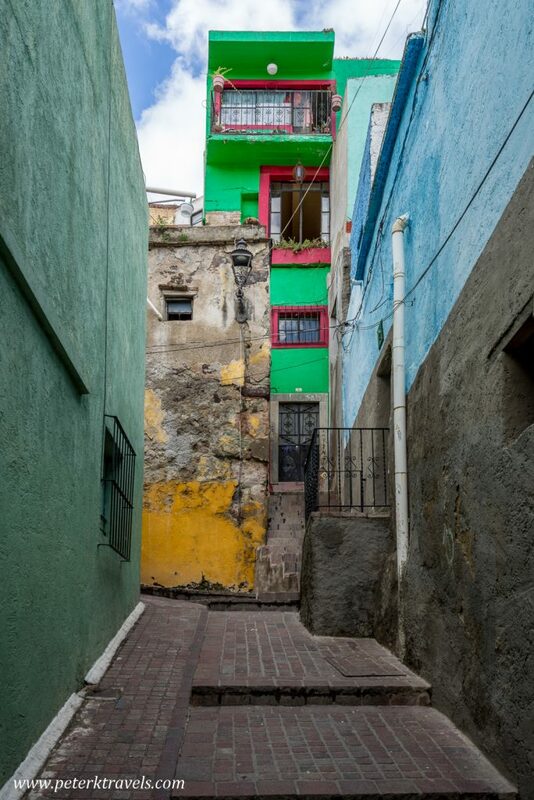 Here are ten photos from random alleys in Guanajuato! 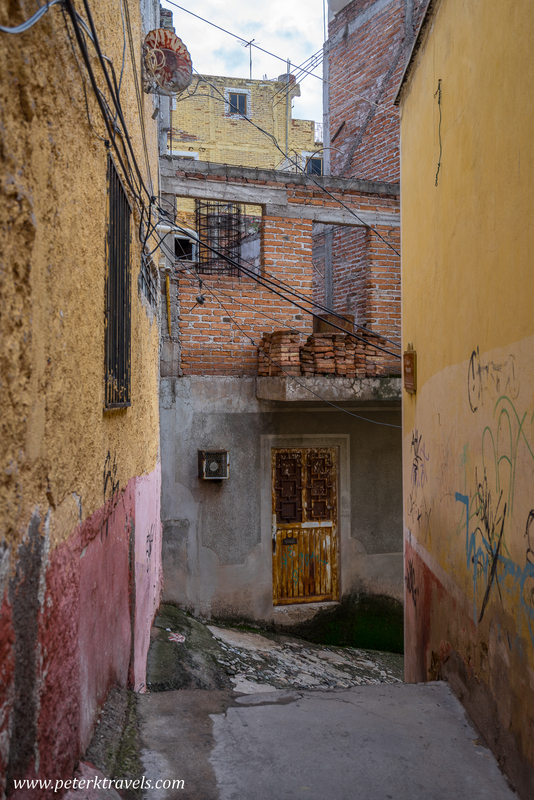 2 Responses to "Alleys of Guanajuato"
Reminds me of Venice! 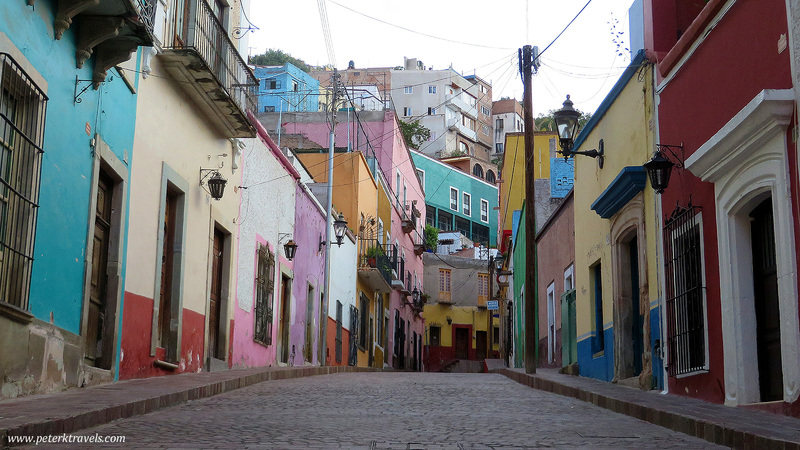 Looks like a beautiful place to wander—so colorful! 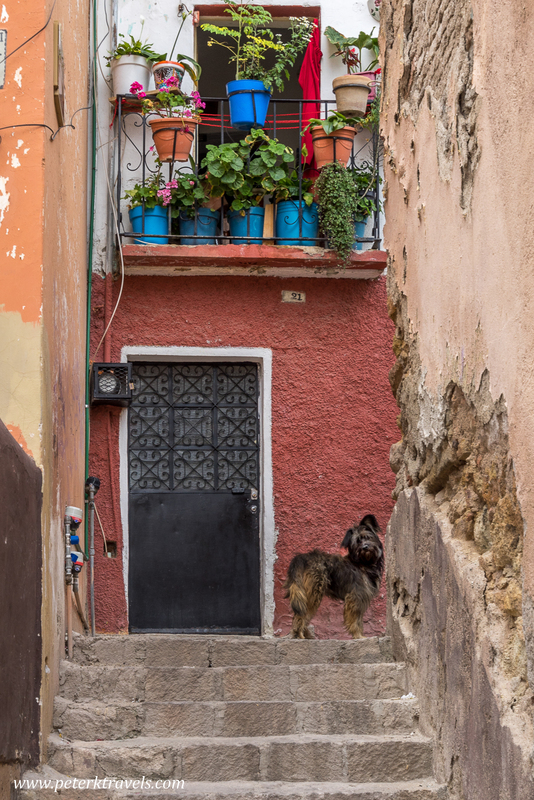 Of course, I love them all, but I especially like the one with the dog!